Saint George has a problem. His horse, ‘Charlie’, is scared of dragons; and that makes getting close enough to slay one something of a challenge. 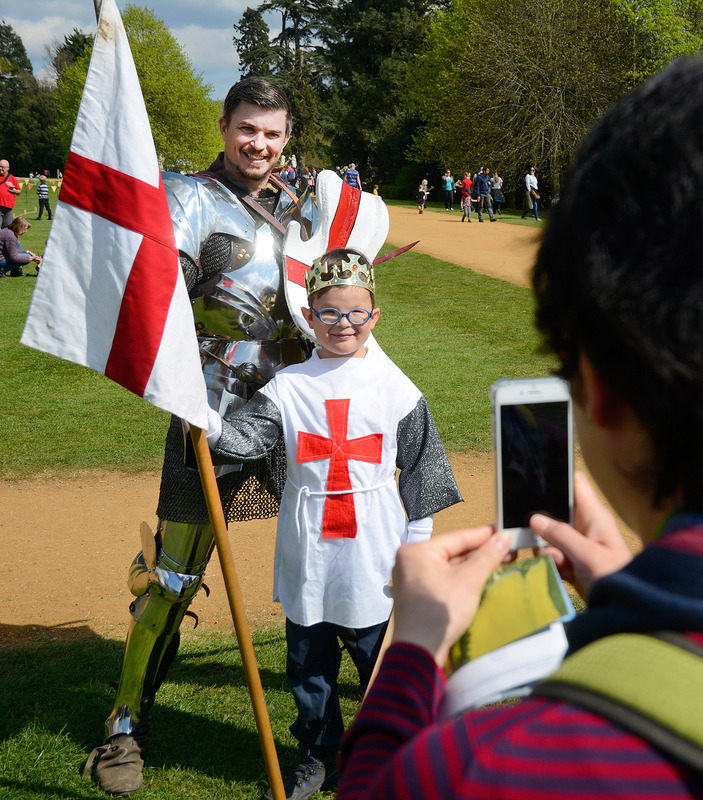 I’m at the English Heritage St George’s Day weekend at Wrest Park in Silsoe, Bedfordshire, where England’s patron saint is remembered in the biggest event of its kind in the UK. I’m photographing the event for The Daily Telegraph and Charlie the horse’s dragon phobia isn’t my only problem. Although overcast skies were forecast, the British weather has done it again and the sun is beating down on my (now badly burned) bald spot. 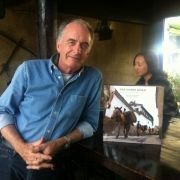 On the way to retrieve my hat, I bump into Mo Broadbent. 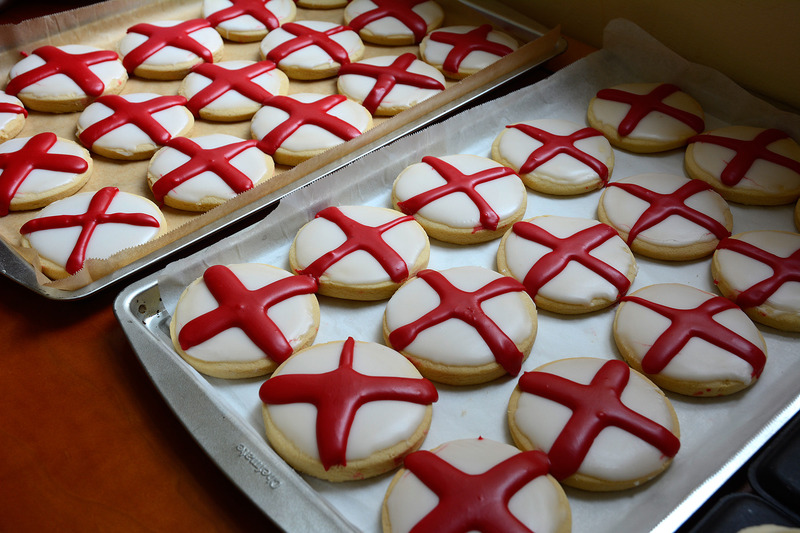 She is English Heritage’s baker and is busy hand icing 250 of her St George’s Day shortbreads and baking 40 sponge cakes, no mean feat. I’m offered a ‘slightly wonky’ shortbread which didn’t make the grade and that’s lunch sorted! 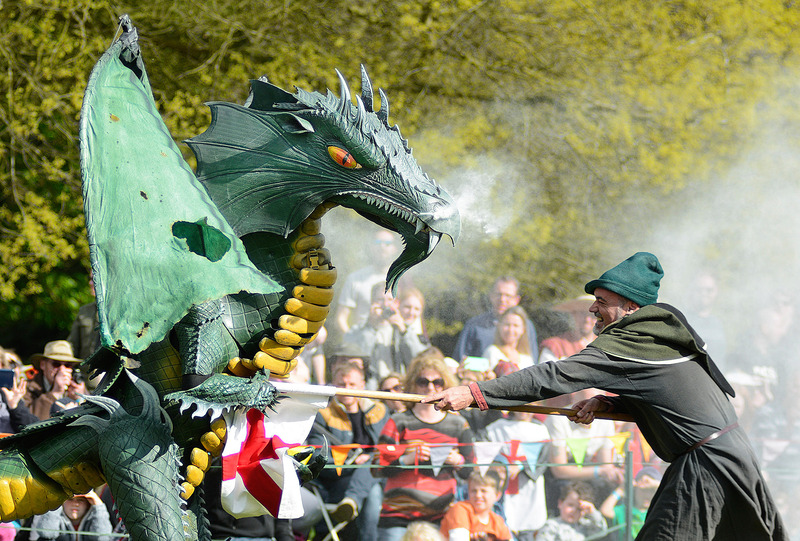 The epic battle recreation between Saint George and the dragon isn’t the only thing happening at the festival. In fact it’s also a celebration of England’s history through the ages and the whole park has something of a time warp feeling to it. 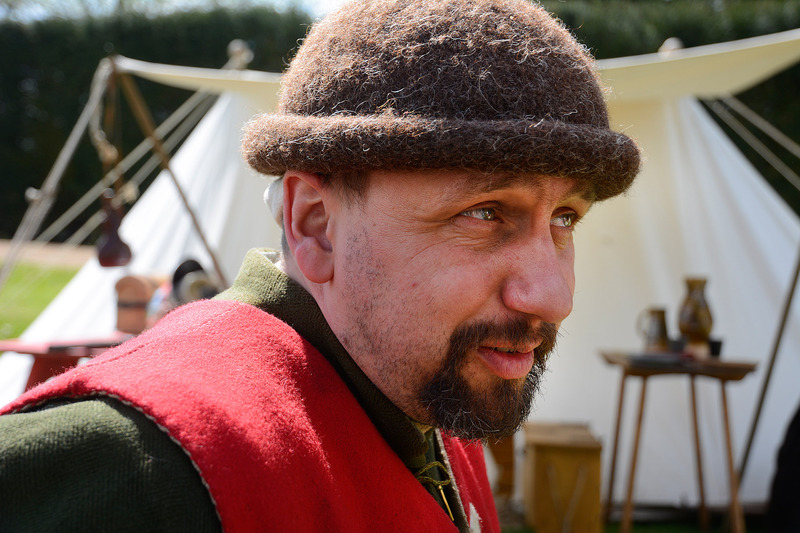 There is a medieval village with re-enactors in costume, Romans in armour, Georgian ladies, Grenadiers of The First Foot Guards, Civil War soldiers and many other periods of English history represented. 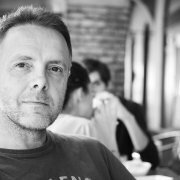 I chat to Ben Godden from Luton in the medieval village. He is dressed as the 15th century mounted soldier from The House of Bayard, but his day job is an engineering welder. “If the world as we know it stopped tomorrow, I could just about drag myself into the Bronze Age” he jokes. I think he is just being modest- he has after all made his own shoes, clothes, armour and weapons. The attention to authenticity and detail is amazing, you would be forgiven for thinking you had just stepped out of your very own time machine! Saint George may be the English patron saint and our national he, butut he was in fact born in Cappodocia which is modern day Turkey. At Wrest Park he is portrayed as an English knight on horseback. In truth, he was probably actually an officer in the Roman army. The famous tale of how he slew a dragon in the city of Silene, (modern day Libya), is from a 13th century book called ‘The Golden Legend’. Our’ saint is also an international saint; England shares him with Catalonia, Venice, Genoa, Portugal and others. It’s not just cities and countries that have St George as their patron either. During the Middle Ages, St George was regarded as one of the ‘Fourteen Holy Helpers’ – a group of saints people turned to for assistance during times of need. 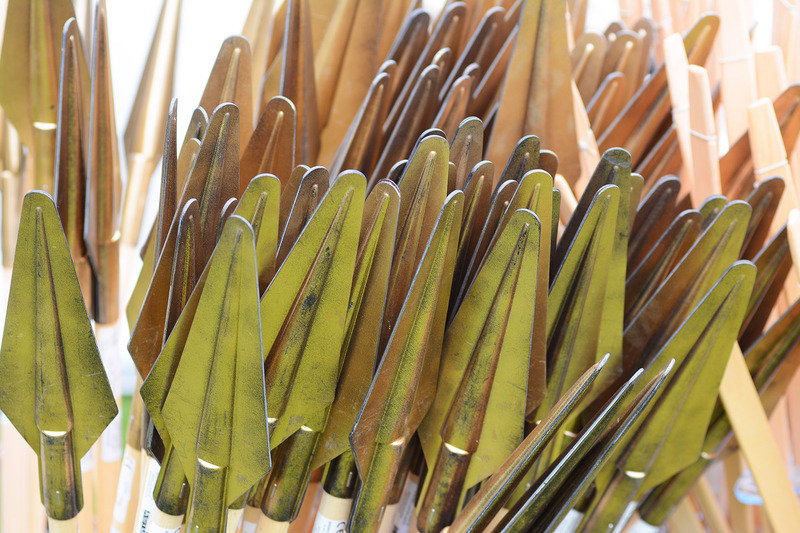 The children are certainly getting involved in the historical pageantry; a roaring trade is being done in toy swords, armour, shields and ‘royal dresses’ at the gift shop. 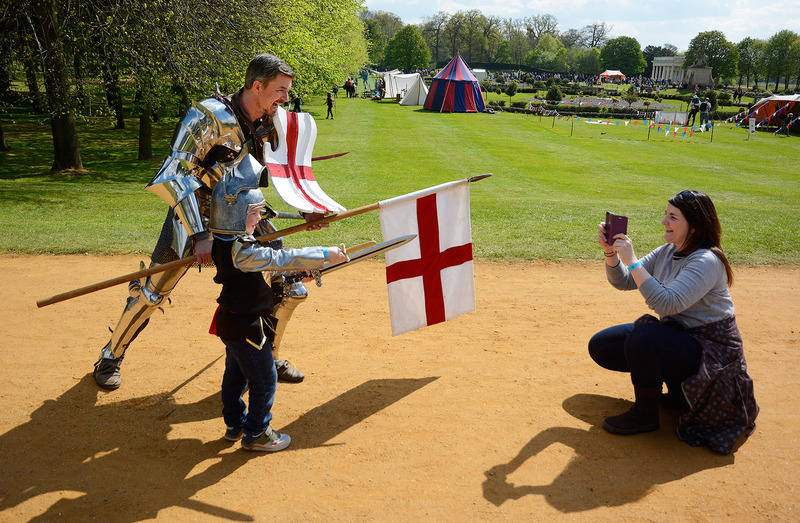 St George is good for business and the sunny weather has brought the crowds to Wrest Park in large numbers. 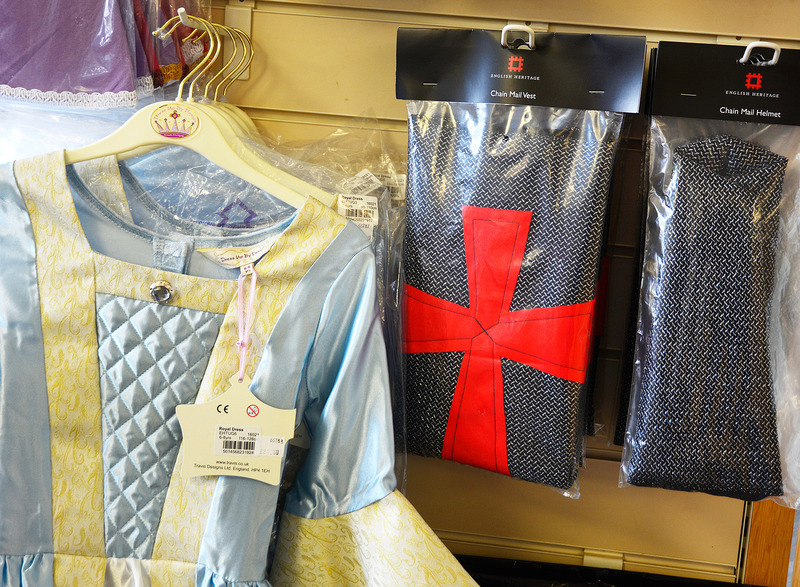 St.George children’s costumes in the shop at Wrest Park. Photo by John Robertson. This is the biggest St George’s Day celebration in the UK and an absolute gem for photographers with so much to see. Jousting is taking place in the main arena as a prelude to the appearance of George and the dragon. Acutely aware that spectators have paid to attend this event, I lurk in front of a (fortunately unloaded) replica Roman ballista so that I don’t spoil anybody’s view. St George is what the newspaper wants photos of, so I stick the 300mm lens on my camera, attach my trusty Manfrotto monopod to it and await the spectacle.It pays to always be aware and to react quickly in this job though. It’s no good seeing a superb photo opportunity occur in front of you if you can’t actually capture it on camera! 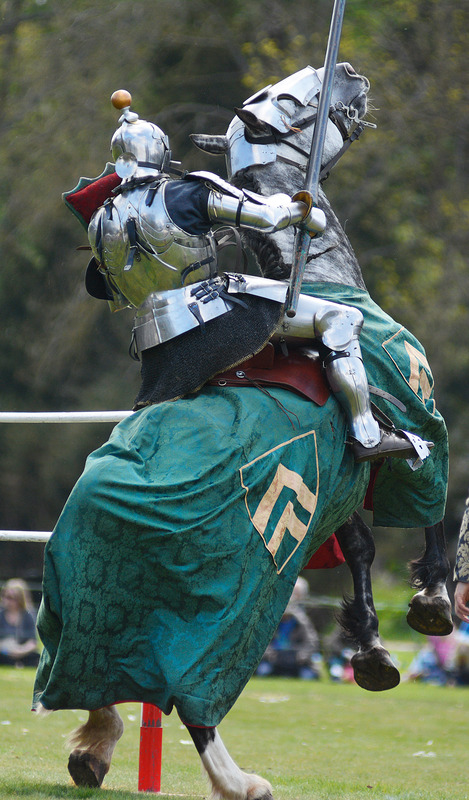 One of the jouster’s horses suddenly takes a dislike to the whole idea and rears up on its hind legs. I quickly fire off three frames and the last one captures the knight’s excellent horsemanship skills as he brings his nervous steed back under control. Before he is called upon to perform his party piece, St George (aka Stacy Vandola-Evans) walks around the site in full armour, chatting to the visitors and having his photo taken. It’s nice to be popular and Stacy tells me how much he enjoys being ‘St George’, this being his fourth event. He glances wistfully at an ice cream van as we pass and explains keeping in character means St George cannot be seen or photographed cooling down pre-dragon slay with an ice cream. I’m often asked, what lenses should you use for photography at an event such as this one at Wrest Park? 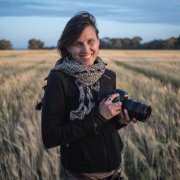 If you are shooting close-in on the characters like I did in the medieval village then a wide-angle or short telephoto, such as an 85mm or 100mm lens is ideal. 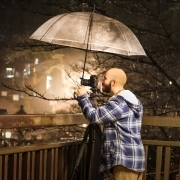 This will give you a much more ‘intimate’ feel than a longer lens. In the main arena it will be necessary to use a much longer lens to get in close to the subject. A 200mm, 300mm or even longer ideally. 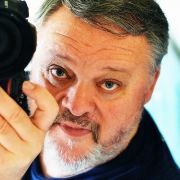 An added advantage of the longer lenses used here are that they enable distracting backgrounds to be thrown out of focus, allowing the main subject to really stand out. In this case, I was able to disguise a pavilion covered with scaffold, the commentator’s caravan and other ugly intrusions into the background of the photos, thus avoiding lengthy time spent in post production re-touching. With just enough time before the big showdown, I take another look around the medieval village and am pleased to find this lady looking after a little baby. To me, (now a grandad myself), it makes a touching photo as she looks after the little chap dressed in swaddling but with a modern pair of socks to keep his tiny feet warm! 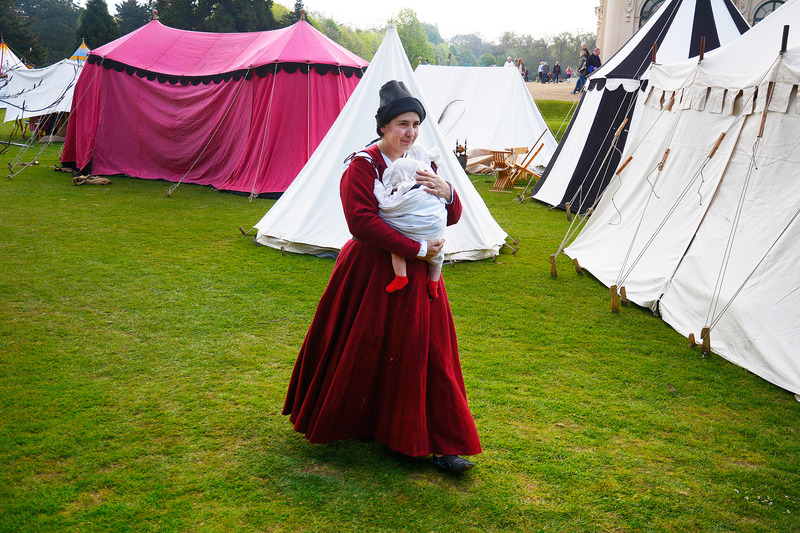 A medieval baby is given a walk around the camp to help him off to sleep. Photo by John Robertson. At last it’s time for the main event; St George versus the evil dragon. The performance goes ahead and accompanied by English Heritage’s photographer June, I shoot away on the 300mm lens. St George keeps his distance as his horse is still very unsure about the dragon and as a result the unsung hero of the display is ‘Bob’ on foot. Bob delivers the final coup de grace to the dragon and then it’s all over. St George fights the dragon. Photo by John Robertson. 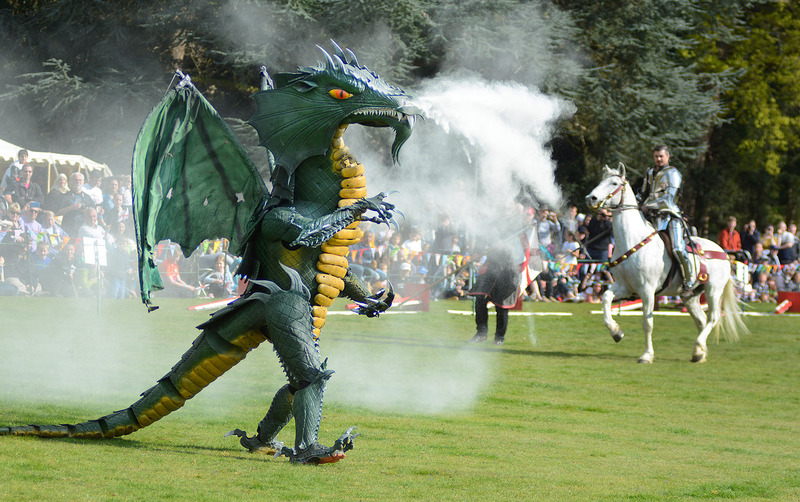 ‘Bob’ delivers the coup de grace to the dragon at Wrest Park. Photo by John Robertson. Except that it isn’t. My curiosity gets the better of me and I poke my head into the tented enclosure of ‘the dragon’s lair’. 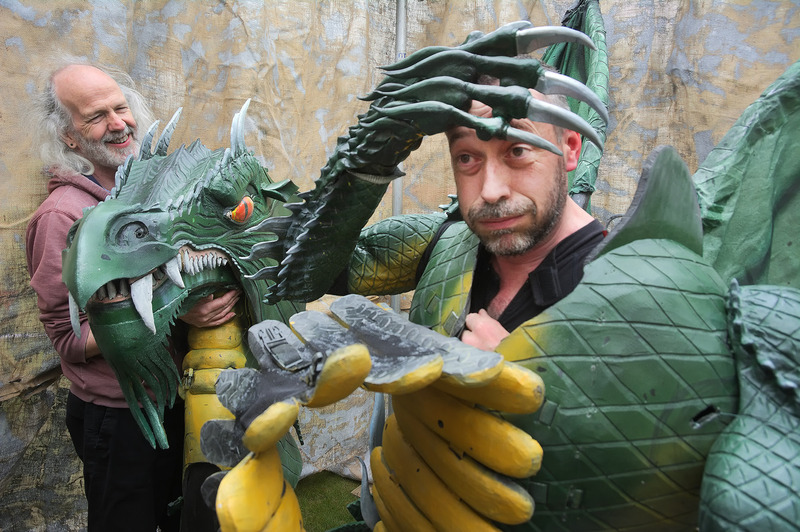 The dragon is played by actor Adam Schuch-des Forges who also made his own dragon costume. It’s quite amazing in its complexity and design brilliance. Adam tells me that it isn’t as heavy or uncomfortable to wear as it looks. He has also incorporated several inventive features into his design. For example; the smoke canister attached to his back allowing impressive spurts of ‘steam’ to shoot from the great beast’s nostrils, eliciting squeals of delight from children (and adults!) in the crowd. Also, the ability to flap the bat-like wings and snap the dragon’s hideous jaws. 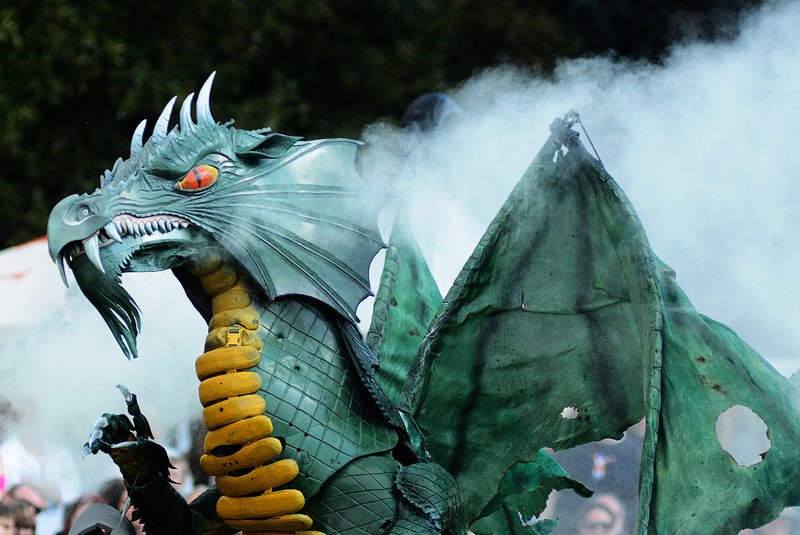 This is THE premier league of dragon costumes! Adam wanted his dragon to be the best and I think his incredibly innovative design, proudly made from recycled objects including a cycle helmet and foam floor tiles amongst others, has achieved this without doubt. make their way home by car and van rather than horse and cart. Although on this occasion, harder news stories took precedence over the soft news St George Day festivities in the main paper, I was pleased to see my photo on the newspaper website. One of the things I love about editorial photography is the fast pace and ever changing news stories, but with this unpredictability you have to appreciate that not everything you shoot will make it into the press. The important thing is not to be disheartened and to carry on with renewed enthusiasm the next time.